HopDoddy Opening in Southern California! – T.W.O. HopDoddy Opening in Southern California! Published on July 9, 2015 February 3, 2016 by T.W.O. Some of you might remember that we featured HopDoddy Burger Bar on our blog when we visited Austin in May 2014. (POST HERE) At that time there was speculation of opening one in Southern California and after a year and couple months – the news became true! The first California restaurant will open this Summer in Fashion Island, Newport Beach. We are so excited to check out the build-out and see if it lives up to the South of Congress, Austin location. 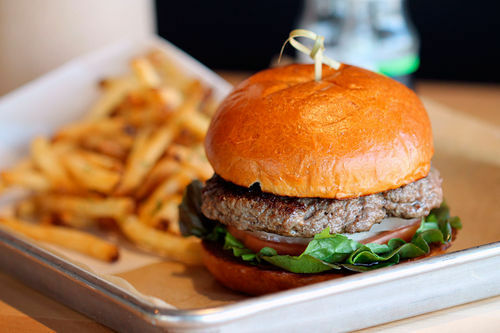 If you are looking for a delicious burger, don’t look any further…go to HopDoddy! It’s been rated by Food + Wine as being the best burger! Try it for yourself! The fries and shakes are pretty good too! Oh and they have craft beers on tap…did we sell you yet? It’s always great to hear about something close enough for a visit =0) Thanks so much for sharing this exciting news!